If you want a sure-fire indicator of the divide between generations, ask people how far from home they could walk at age 8 without an accompanying parent. To someone from an older generation, that Skenazy’s 9-year-old son took a 45-minute subway ride by himself probably wouldn’t seem unusual or surprising. But when national TV and radio shows picked up the story, the response of many parents was that Skenazy was guilty of neglect or child abuse. One talk show identified her as “America’s worst mom.” Yet as Skenazy pointed out in her column and in other articles since then, New York City is safer now than 40 or 50 years ago, as are most U.S. cities. The media’s constant stream of bad-news stories, in her view, has skewed the perspective of America’s parents, schools, and communities. The risk, she argues, of protecting children from childhood — of putting knee pads on toddlers, of prohibiting free play at recess, of refusing to let children talk to strangers or walk to a friend’s house unaccompanied — is that they won’t learn crucial skills for navigating the world as adults. 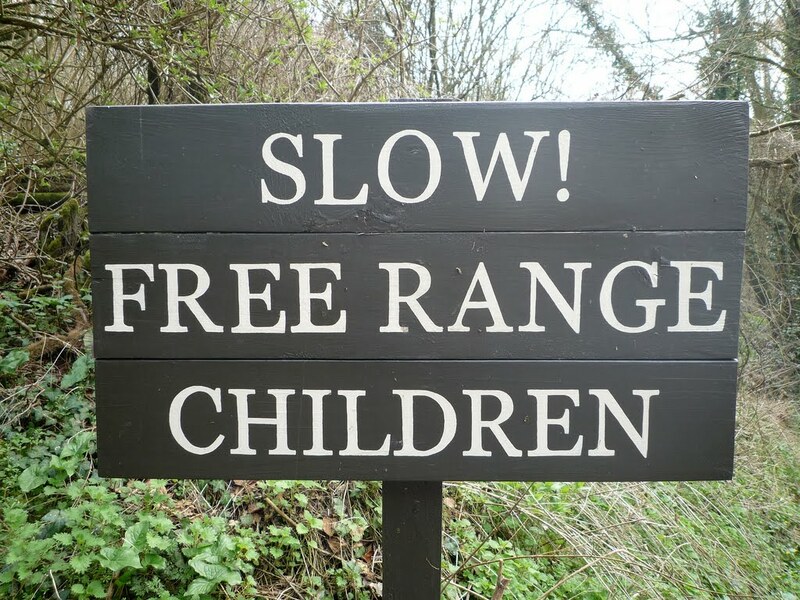 Skenazy has joined a chorus of researchers, educators, and community members calling for more room for children to roam — and added “free-range children” to their phrasebook. Her blog and book of the same name debunk fears and what she calls “worst-first” thinking, or “taking the worst possible outcome and acting as if that’s likely to happen.” The blog and the book highlight the benefits of letting children roam, such as increasing children’s creative problem-solving abilities and independent thinking, and offer statistics to ease parental anxiety about children’s safety. - Turn off the TV. As TV viewers, we’re riveted by bad news; in fact, as human beings, we’re wired to pay attention to bad news, so we can avoid it for ourselves. Constant media coverage of rare occurrences, however, makes us think that the world is scarier than it actually is. The best way to counteract this tendency, Skenazy says, is simply to ignore the temptation to overreact. And the best way to do that may be turn off the television when — or before —such stories come on. - Counter “worst-first” thinking with real-world numbers. If your child’s school bans children from snow play or throwing balls or playing tag at recess — all actual cases — ask the school to put numbers to the risk involved and challenge them to weigh that risk against the developmental benefits of play. - Give children opportunities to practice self-regulation. Learning how to control emotions and play with a group of peers is an important skill, and in Skenazy’s view best learned away from interfering adults. “If I’m your mom,” she says, “I’m going to let you take a fourth swing at a ball, because the sun was in your eyes. But if you’re playing with a group of kids, they’re going to tell you you’re out, go to the end of the line. When you go to the end of the line, that’s self-regulation,” she says. “Nature made play so much fun that kids stick with it,” even as they’re learning to deal with inevitable disappointments and defeats. o Join together to create safe environments for free-ranging children. “I’m not against safety,” Skenazy says. “I’m all for seat belts and food regulations and bike helmets,” she says, but notes that numbers back up those safety measures. “Kids need sidewalks and stop signs,” people who obey the speed limit, and people they know in the community, she says. o Encourage children to talk to strangers. Children need to know the adults in their community, and know that they can rely on them. Trick-or-treating at Halloween, selling Girl Scout cookies, collecting money for good causes, or simply greeting neighbors on the way to and from school are all ways that children can become acquainted with the adults in their community. Lenore Skenazy’s Free-Range Kids blog has a link to “How Children Lost the Right to Roam in Four Generations,” an article about the Natural England report. Flickr photo taken in Castle Combe, England, March 2011.